7 Days a Week, 8 a.m. – 8 pm. Smooth Ride is proud to introduce the new add on air suspension system. Smooth Ride is manufactured in Wayland, Michigan. The system has been designed to fit almost any semi-trailer that currently has a spring suspension. While the idea of adding air bags to a spring suspension is not new, the Smooth Ride System is uniquely better and less costly. 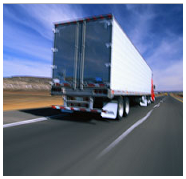 What are the benefits of Smooth Ride? Smooth Ride is an add-on air suspension system designed for most 96" or 102" wide single- or tandem-axle dry vans, reefers, or flatbed trailers installed with a spring suspension. The Smooth Ride System is easily installed by simply welding two brackets to each axle, then adding an upper member directly above each axle. Then, simply install the air bags and air control system. View more information in our Smooth Ride Brochure. Contact us to order our trailer suspension system.